As we head into 2017, we’re taking a look back at some of our highlights of 2016 including lots of celebrations and fun! 1. 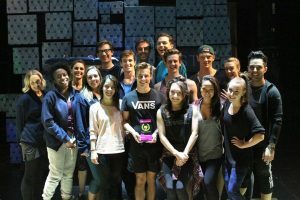 Matilda the Musical celebrated its fifth birthday in the West End with a special celebratory performance in November. Read more about the birthday celebrations. 2. In October, we won the lastminute.com theatre award for ‘Best Family Entertainment’! This brings our total up to a massive 72 international awards, including 15 for Best Musical. 4. 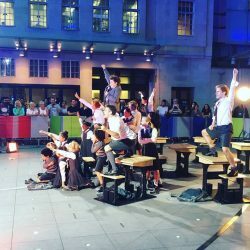 In July, two of our Matildas – Emily-May Stephenson and Zaris-Angel Hator performed at West End Live in Trafalgar Square. 5. Sometimes you have to be a little bit naughty, so we sent our Matildas along to learn some magic tricks of their own with Matilda The Musical’s illusionist, Paul Kieve. 6. 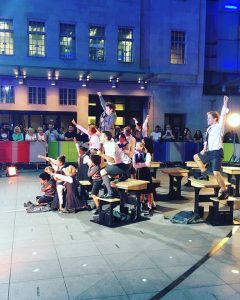 As part of the celebrations for Roald Dahl 100, our cast performed a medley of songs from the show on BBC1’s The One Show. 7. 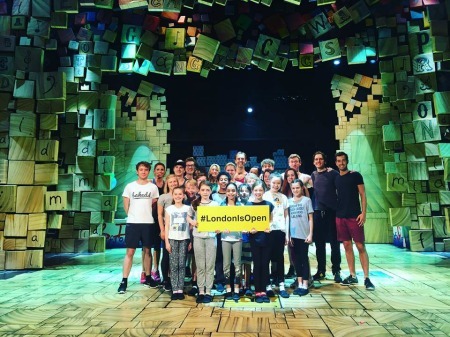 Our Matildas performed at many events throughout the year including Evie Hone on Tonight at the Palladium, Lizzie Wells performed at the Dahl in a Day event and Lara McDonnell at the Olivier Awards concert in Covent Garden. 8. 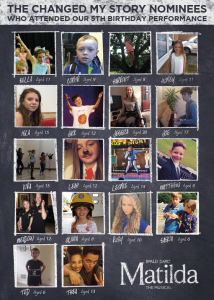 Hundreds of fans submitted their lip sync videos used to create this ultimate ‘revolting children’ mash up. 9. 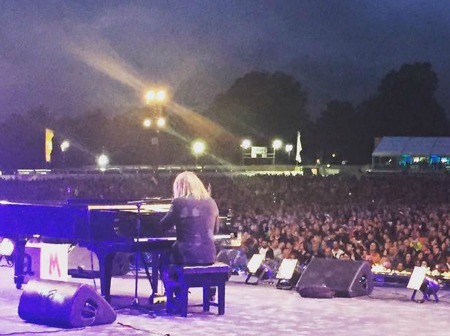 Tim Minchin performed ’When I Grow Up’ at BBC’s Proms in the Park in Hyde Park in front of 40,000 people. 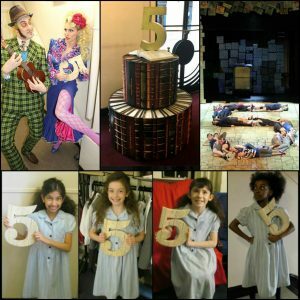 He was then joined by two of our Matildas, Zaris-Angel Hator and Clara Read, for two further numbers. 10. We proudly supported Sadiq Khan’s #LondonIsOpen campaign. 11. In March, to celebrate the show running across 51 cities in 3 continents we created an exclusive video featuring all the Matildas past and present. 12. 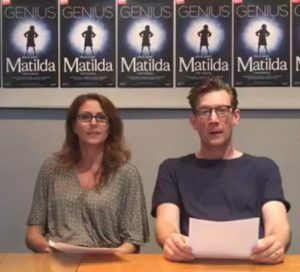 In August, we went live on Facebook with a Q&A with Michael Begley and Rebecca Thornhill who play The Wormwoods. Watch it again here. 13. To end the year, we got into the festive mood by challenging our Matildas and other cast members to a game of charades.